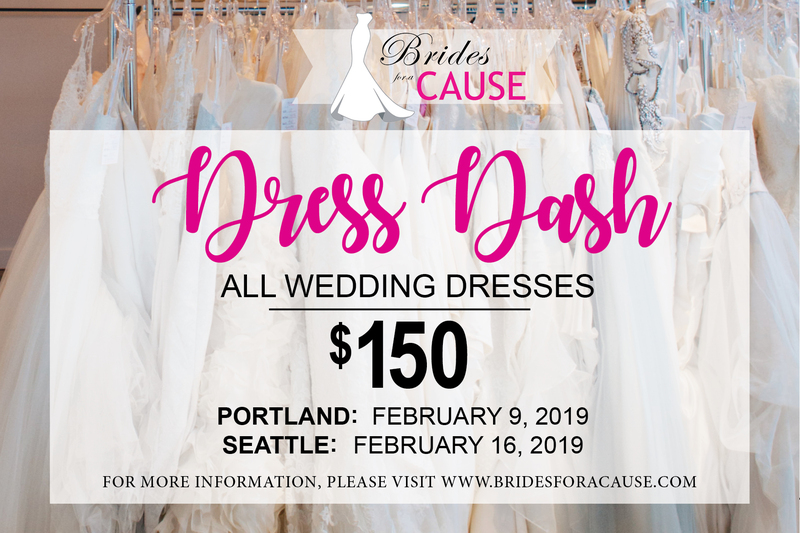 Brides for a Cause and MOViN 92.5 are hosting its 6th annual "Dress Dash” on Saturday, February 16 from 7am-11am at 415 Westlake. The "Dress Dash” is an annual clearance event, featuring more than 500 wedding dresses in sizes 0-24 and all priced at just $150. The wedding dresses are donated to Brides for a Cause from high-end designers, bridal salons and individuals across the country. This clearance event gives local brides an opportunity to find an affordable dress while supporting a worthy cause! Discounted veils and other bridal accessories will be offered at the event. Brides are encouraged to show up early to snag a $150 wedding dress! The event is run by Brides for a Cause, an Oregon-based nonprofit organization that collects and resells wedding dresses to raise funds for national women-focused charities such as Brides Across America, Wish Upon A Wedding and She’s the First as well as local WA-based charities including Ruby Room, Dress for Success Seattle, Young Women Empowerment, Cocoon House, Peoria Home and Hayden’s Helping Hands. The charity has boutique locations that are open year-round in Seattle, Tacoma and Portland. To-date, the organization has recycled over 10,000 wedding dresses and has given away over $700,000 to charity. Already married? Wedding dress donations 5 years and newer will be accepted during the event. Volunteers are also needed at the event. For more information, please visit www.bridesforacause.com.